Dr. John Wesley Russell D.D.S., age 87, passed away Friday, December 14, 2018. He was born in Muskegon, MI on March 12, 1931 to Anthony & Barbara (Wesley) Russell and served his country in the US Air Force during the Korean War. He married the former Bette Jeanne Weisner on August 11, 1951. Dr. Russell worked as a dentist for 50 years until retiring in 2010. John was a graduate of St. Jeans Catholic High School and went on to Aquinas College where he played basketball. He later graduated from Muskegon Community College and from the University of Michigan Dental School. 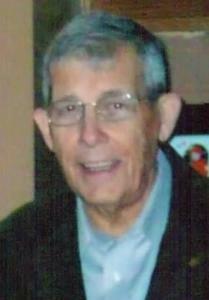 John was a member at St. Francis deSales Catholic Church, Muskegon Rotary Club, Ambucs and the Muskegon Country Club. He was the president of the Muskegon Dental Association. The family would like to thank everyone at Harbor Hospice for their care and compassion. Wife of 67 years, Bette Jeanne; son, Gregory (Sharon) Russell of Kalamazoo; daughter, Michelle (Tim) Fissinger of Novi; grandchildren, Alexis Fissinger, Michael Fissinger, Shanon Otto, Sean Saulsberry; brother, Thomas (Judy) Russell; sister-in-law, Rosalie Russell; several nieces & nephews. He was preceded in death by his brother, Eugene. According to John's wishes, no service will be held. MEMORIAL: Harbor Hospice Foundation.